Exam, birthday party or family gathering? 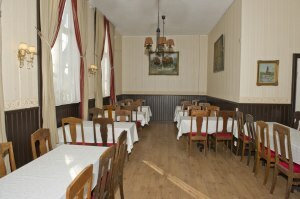 Our beautiful dining room as room for 40-45 persons. The price varies depending on what type of activity you're planning. You tend to yourselves. Kitchen and dining room is left the way you found them. If you want us to do the final cleaning the price is 1000 sek and must be booked in advance.